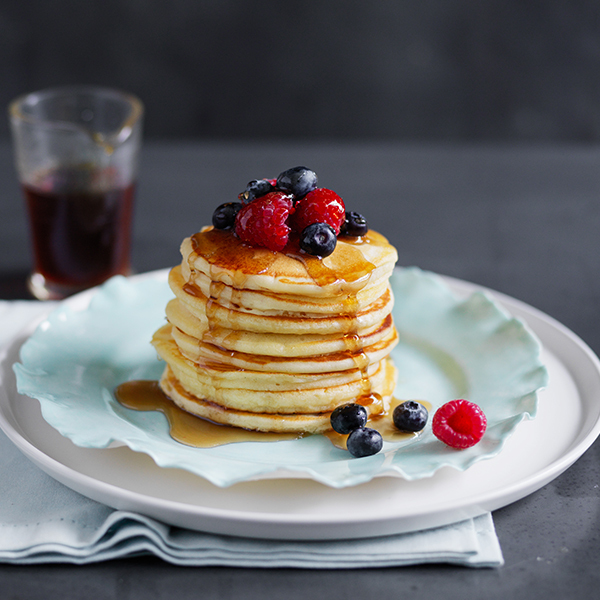 Eating fluffy, sweet pancakes for your morning brekky or afternoon tea can really be the highlight of your day. Janelle Bloom's simple steps are your new go-to! 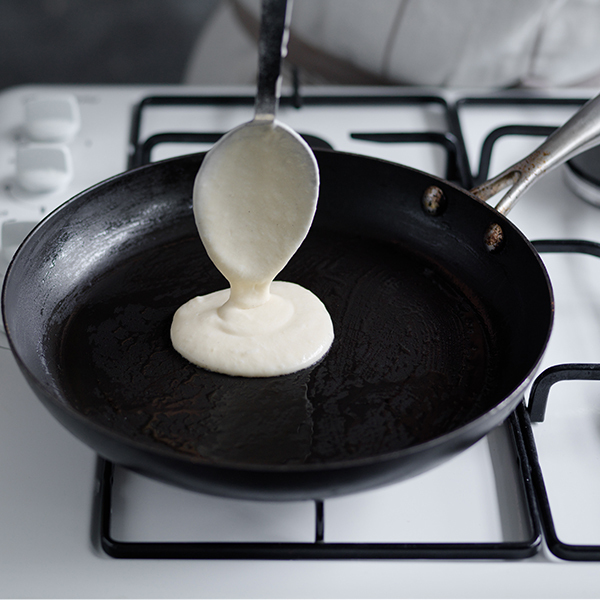 A light touch and patience is what’s needed to make light, fluffy, tender pancakes that will be devoured as quickly as you can make them. 1. For best results, all ingredients should be at room temperature so they mix evenly. 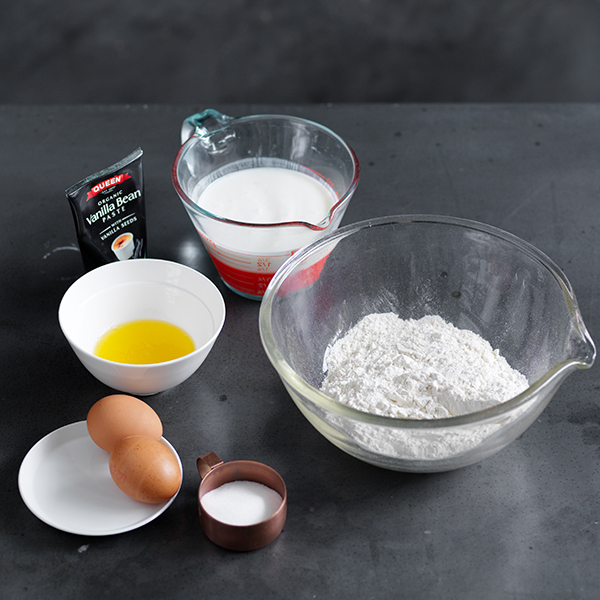 Sift 1 cup of self-raising flour, 1 teaspoon of baking powder into a large bowl. Stir in 1/4 cup of caster sugar. 2. 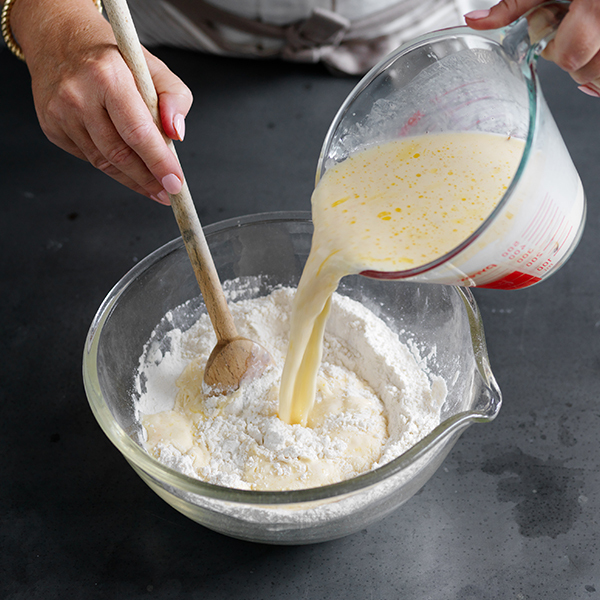 Whisk 1 cup buttermilk, 2 eggs, 1 teaspoon vanilla essence and 1/4 cup of melted butter together in a jug until well combined. 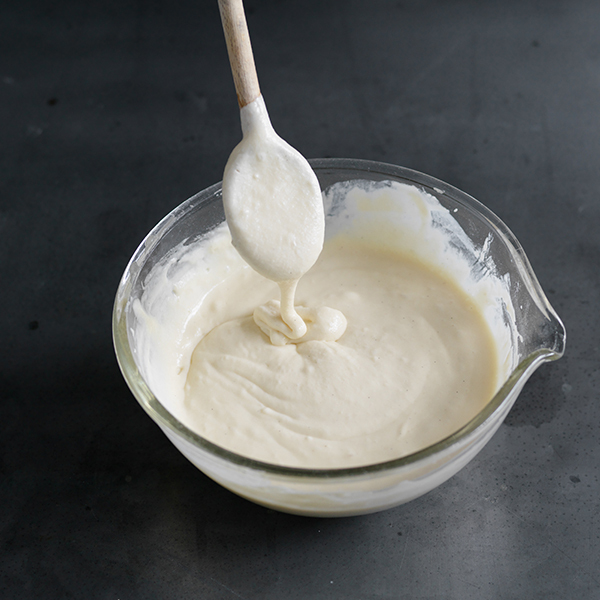 Pour in buttermilk mixture and stir with as few strokes as possible until the batter is smooth. 3. It should resemble a thick cake batter. Cover and set aside for 10 minutes, this allows for the even hydration of the batter and the gluten (which will develop even with careful mixing), to relax. 4. 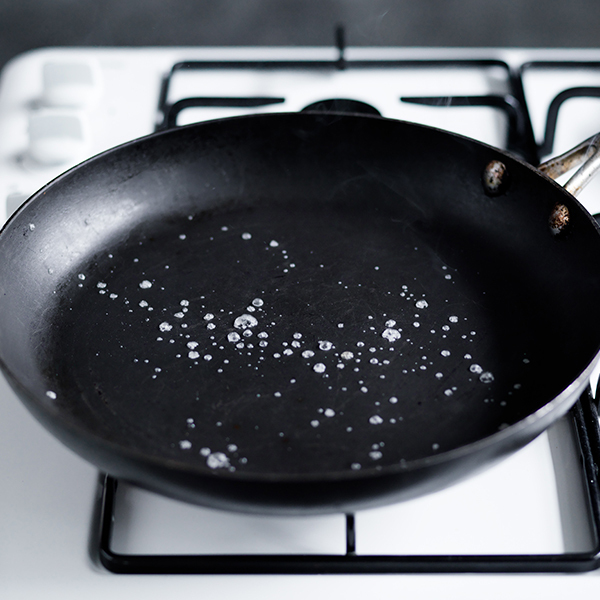 Heat a clean dry non-stick frying pan over medium-high heat until hot. Its ready when you flick cold water from your fingers onto the base, they should sizzle immediately and dance around before they disappear. If they evaporate immediately, the pan is too hot; if they just sit there without sizzling, the pan is not hot enough. 5. Brush the base of the pan with melted ghee (ghee will not burn like butter when heated on medium-high) drop the batter from the tip of a large spoon, holding it just above the surface of the pan. Spread to the desired size with the tip of the spoon. 6. Cook for about 2 minutes, or until some bubbles appear on the surface. Turn over. Cook for a further 2-3 minutes, or until golden underneath. 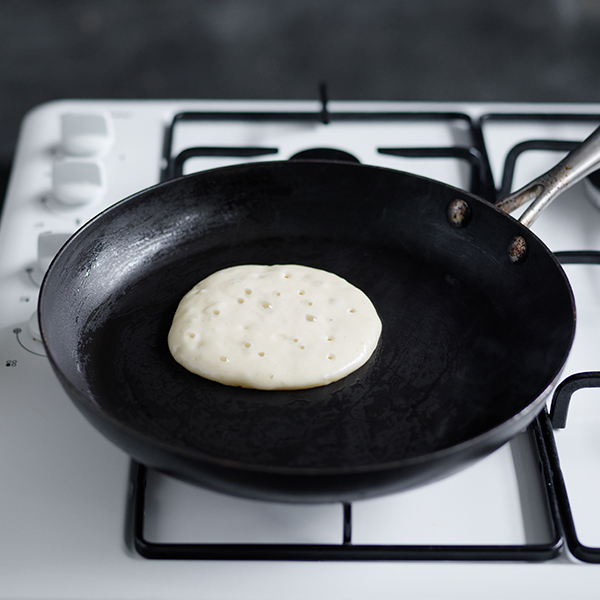 Remove to a large tray, lined with clean tea towel, while cooking remaining pancakes. To keep them warm, place into a 150°C fan forced oven. 7. Hero stack with berries and maple syrup.